It feels odd to post fall sessions when we are just really getting out from under the weighty sheath of winter and beginning to see signs of summer. We’ve been teased with hot days and pulled back to reality with much cooler seasonal days. Like today–cool, damp and truly representative of a New England spring day. It is so hard to believe we are in June and with that I look toward my busy fall season and what will be on tap. 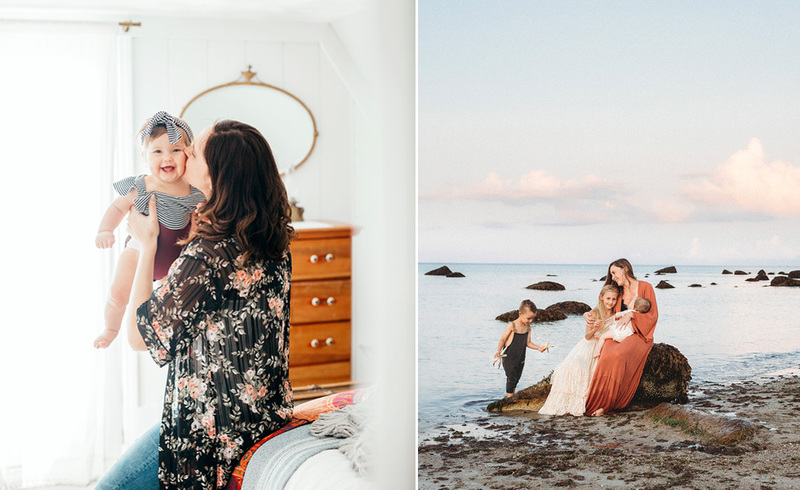 While I will not in any way rush the summer days away, it’s important to keep in mind that they will fly by and before ya know it clients will be clamoring for those quintessential fall sessions. This fall family session was photographed last October. If you have little ones and the weather is chilly, we can do a beautiful lifestyle portion inside your home and then scoot outdoors to capture the beautiful fall foliage. As with any session, we will discuss wardrobe options so that everything flows seamlessly from one “scenario” to the next. True for all colder weather sessions, layering is key! Nobody wants to see bulky overcoats and we can keep the little ones warm by layering lots of cozy yet appealing options. It’s never too early to start thinking about your family portrait session so if you are in Boston, Cape Cod or the south shore and would like to book a fall session please feel free to call or email anytime for details. September mini session dates have been released for existing Bellini clients! Brittney - Gorgeous images – and look at his eyes! This family seems like someone I’d love to be friends with. Melissa Goers - Great lifestyle photos. I love nursery shoots. 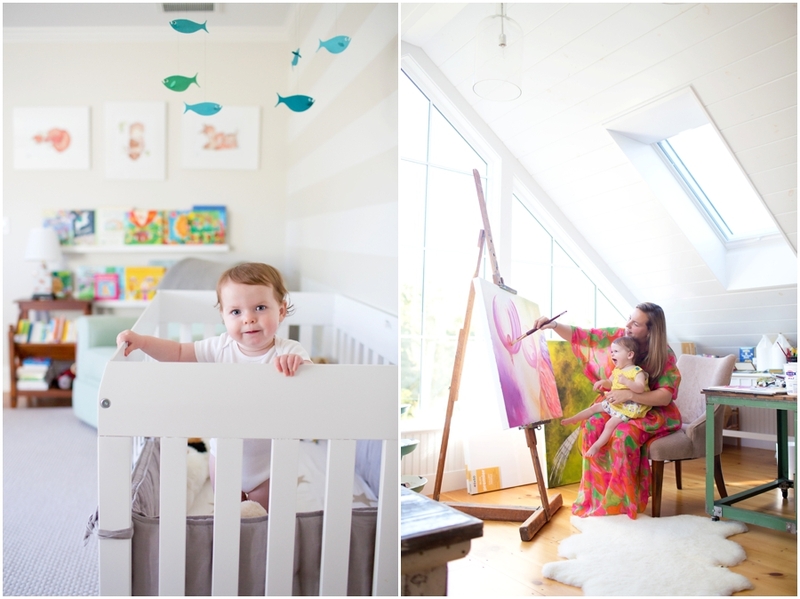 Lucas - Gorgeous family session and I love that she paints with her! Courtney - Absolutely adorable session! 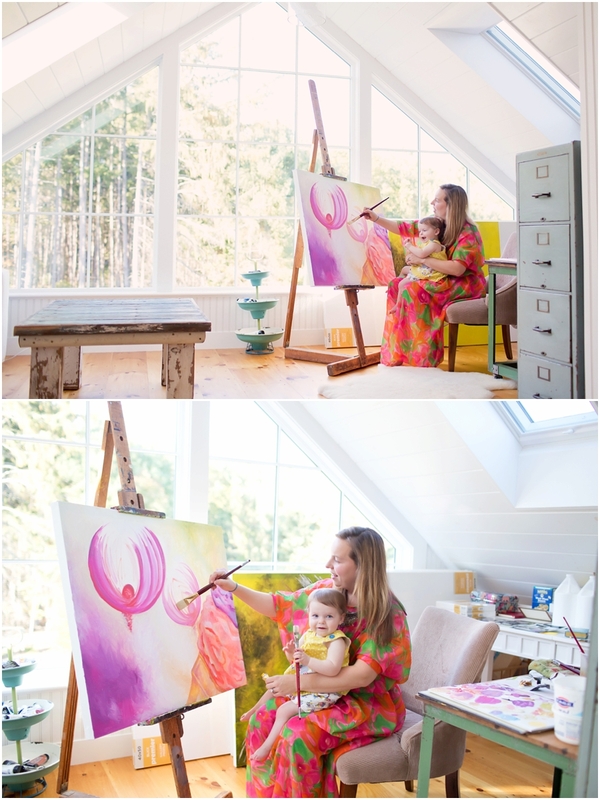 I love the shots of her sitting on her mother’s lap while she is painting! Jennifer - These lifestyle photos are such a great gift, I need to hire a photographer to shoot us in our everyday environment. You are very talented, wish we lived near you in Boston! Sarah Morris - OH MY GOSH!!!! What a breathtakingly beautiful lifestyle session!!!! That baby!! And that house!! And mom’s paintings!! Eeeeeek!!!!! Corey - Absolutely beautiful lifestyle session! 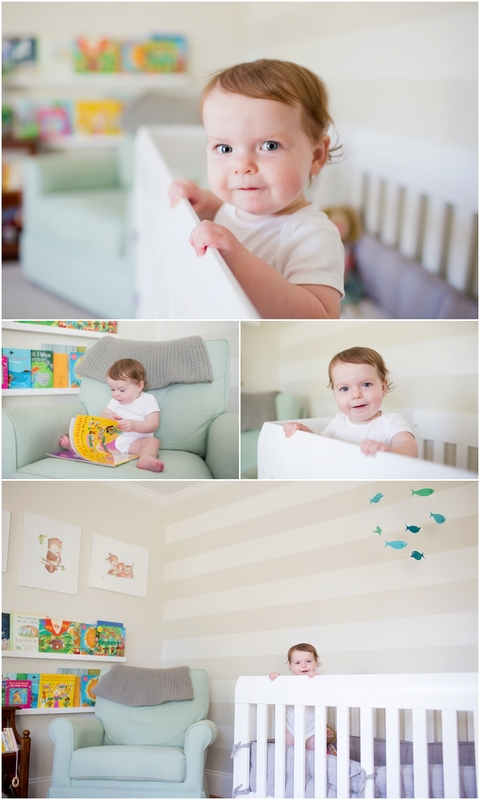 Their baby is adorable and their home is perfect! miranda - I love following your blog, and this is just as great as ever! That attic studio is amazing! Found yourself some amazing clients to photograph!